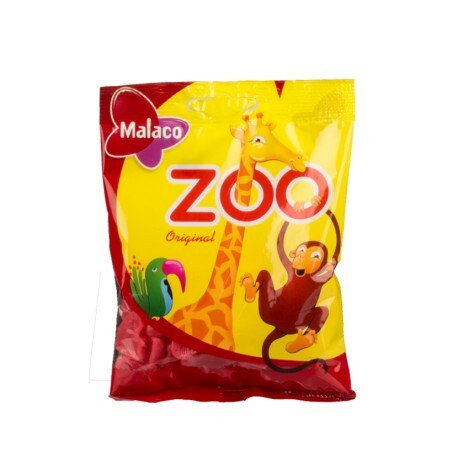 Zoo is one of Sweden's best known candy brands. Both the content and the bag's design with the monkey, giraffe and parrot are true Swedish classic shelf candy. If you can name one Swedish child that hasn't tried a Zoo-monkey, your are lying! The sweet fruity flavor of Zoo in the 80g bag won't disappoint you! Zoo Swedish candy is always fresh and priced right at SnusCentral.com! There is no tobacco in any of our yummy Swedish candy. Buy snus from our huge, fresh Swedish snus selection if you are looking for tobacco!